June 17, 1921 - September 4, 2018 Oxford, PA | Age 97 Loving Mother, Grandmother, Aunt and Friend. Ruth DiCecco Wright, age 97, of Oxford, a longtime resident of Avondale, passed away on Tuesday, September 4, 2018 at Ware Presbyterian Village. She was predeceased by her husband of 63 years, Earl H. Wright. Born in Bakers Station, she was the daughter of the late John and Mary (Ricciuti) DiCecco. She lived in Avondale until moving to Ware Presbyterian Village in 2007. Ruth graduated from Avon-Grove High School in 1939 and worked for L.L. Logan, New London, before taking a position at the Avondale Post Office, where she worked for 33 years. 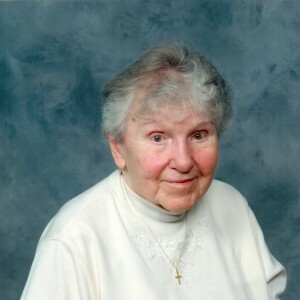 Ruth was a lifelong member of the Avondale Presbyterian Church, always serving in many areas. She was active in the Avondale Fire Company, serving as Treasurer of the Ladies Auxiliary for 40 years. She was a past member of the London Grove Grange. After retiring from the Post Office, she was a volunteer at the hospital in Jennersville for 23 years. She and Earl were active in the Circle 4 Square Dance Club for 18 years. They traveled – even to Europe – for reunions and conventions of the 82nd Airborne. They spent summers camping. Ruth is survived by her daughter, Barbara Wright Fyffe, of Oxford, and her granddaughter, Jenifer Sylvia (Fyffe) Mahley, and husband Chuck, of Pleasant Gap, PA as well as numerous nieces, nephews, great-nieces and nephews, and great, great- nieces and nephews. Ruth was predeceased by her sister, Mary (DiCecco) Stalder, and three brothers, John, James and Theodore DiCecco. There will be a Celebration of Ruth’s life at 11:00 Friday morning, September 14, 2018, at the Avondale Presbyterian Church, 420 Pennsylvania Avenue, Avondale, PA. Friends may visit with the family from 10:00 to 11:00. Burial will be private. Contributions in Ruth’s memory may be made to Willow Tree Hospice, 616 E. Cypress Street, Kennett Square, PA 19348. Please enhance this tribute to Ruth by adding your memories. My deepest, heartfelt condolences to Barbara and all the family. Mrs. Wright was a dear, sweet lady. She always had a smile when I would see her, even though I knew she did not feel like smiling. There are so few comforting words when we need them most. I’m praying that God grants you strength and gives you comfort during this very difficult and sad time. Thinking of Barbie and Jen. Avondale has never been the same since Ruth left. She left her mark on the entire town from the P. Church down to the Board of Elections. Ruth was a tireless volunteer and I enjoyed hearing of her adventures with Earl and the Ritters in the “good ole days”. God’s comfort to all of Ruth’s family and friends! As I think of Ruth I have many memories. The things I remember with fondness are her ready laugh, her love of Earl, her love of her church, and her love of her family. May God comfort you all as you grieve her death! My dearest sympathy. Knew Ruth for many years. She was a very special person.